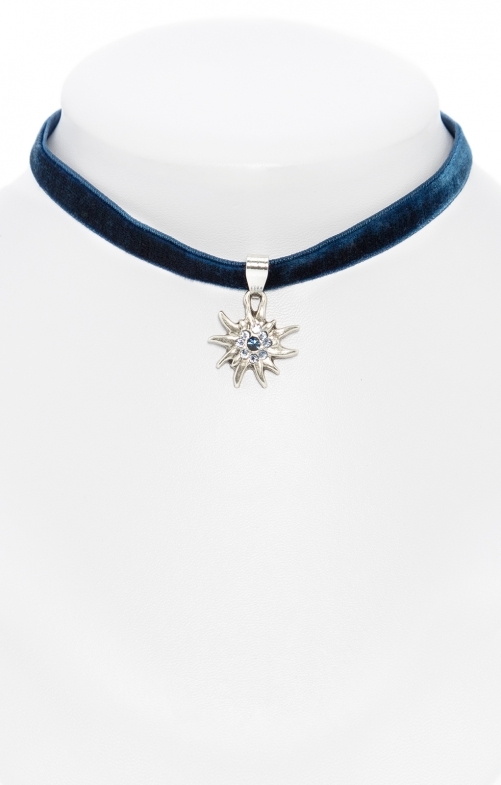 Exquisite necklace edelweiss with velvet ribbon in navy by Schuhmacher. The delicate ladies' accessory from our online shop combines tradition with modernity. The navy velvet ribbon is soft on the neck. The nickel-free, silver pendant looks classy and sparkles thanks to delicate blue crystals. The chain is adjustable in length and fits comfortably to your needs.